T-Mobile posted a video to YouTube with the title, "What if your smartphone could do this." 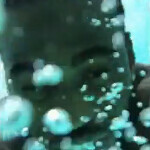 The video showed 23 seconds of a man swimming under the water. We would have to guess that this is a teaser for the upcoming Sony Xperia Z. First of all, the water and dust resistant Sony Xperia Z has already been seen wearing T-Mobile colors. Additionally, the unit has been seen on T-Mobile's support site online. Lastly, as May drew to a close, Sony CEO Kaz Hirai said that the Sony Xperia Z was coming soon to a U.S.carrier. Another reason to suspect that the underwater video has to do with Sony's Android flagship model is because we have already shown you video of the phone shooting frames underwater in a pool. The Sony Xperia Z is an IP57 certified device. That means the phone can live after being submerged in water at a depth between 15cm and 1 meter for as long as 30 minutes. It also means that when it comes to dust, the Xperia Z offers "limited dust ingress protection". what?is this it? lame very lame.. This is Xperia Z, you can submerge it into water up to 1 meter in height in 30 minutes.. This is TOUGHNESS together with SLEEKNESS! BOOM!